Fiona MacDonald reports for Science Alert that in May of next year, Africa will launch the nation's first-ever private satellite into space to monitor the continent's shifting weather conditions. Unlike most private satellites, this one has been built mostly by 14 South African teenage girls as part of a high school science, technology, engineering, and maths (STEM) boot camp. The students have designed and made the payload for the satellite, which will orbit over the Earth's poles and scan the surface of the African continent. The satellite's payload will send back detailed thermal imaging data twice a day to help disaster prevention and improve food security in the region. "We can try to determine and predict the problems Africa will be facing in the future," Brittany Bull, a student at Pelican Park High School in South Africa who worked on the payload. "Where our food is growing, where we can plant more trees and vegetation and also how we can monitor remote areas ... We have a lot of forest fires and floods but we don't always get out there in time," one of the team members, Sesam Mngqengqiswa from Philippi High School, said. "In South Africa we have experienced some of the worst floods and droughts and it has really affected the farmers very badly. We can try to determine and predict the problems Africa will be facing in the future," Brittany Bull, a student at Pelican Park High School in South Africa who worked on the payload. 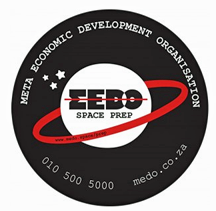 The satellite itself was purchased by South Africa's Meta Economic Development Organisation (MEDO) and the students are being trained to make the payload by satellite engineers from Cape Peninsula University of Technology. In their initial training, the girls programmed and launched small CricketSat satellites using high-altitude weather balloons. However, they've since moved on to programming the satellite payloads, which will be able to collect thermal imaging data and show where drought and floods are expected.